November 27, 2011 - All Nippon Airways and Air Nippon announce that, in a decision made at the meetings of their respective Boards of Directors held on November 25, 2011, the companies will merge. Air Nippon (ANK) is a regional airline based in the Shiodome City Center complex in Minato, Tokyo, Japan. A wholly owned subsidiary of All Nippon Airways (ANA), it mainly operates short routes and flights to isolated islands in support of ANA's domestic services. Its main base is Tokyo International Airport. All Nippon Airways also known as Zennikkū or ANA, is one of the largest airlines in Japan. It is headquartered at the Shiodome City Center in the Shiodome area in Minato, Tokyo, Japan. It operates services to 49 destinations in Japan and 35 international routes and employed over 14,000 employees. ANA's main international hubs are at Narita International Airport outside Tokyo and Kansai International Airport outside Osaka. Its main domestic hubs are at Tokyo International Airport (Haneda), Osaka International Airport Itami, Chūbu Centrair International Airport (near Nagoya), and New Chitose Airport (near Sapporo). With the continued expansion of capacity at Tokyo metropolitan area airports and further deregulation of air transport, the industry environment is seeing changes of an unprecedented speed and scale, and in accordance with the ANA Group FY2011-2012 Corporate Strategy, the Company is working to review its Group operating structure. As part of its efforts to improve management efficiency through the maximization of corporate resources, the Company will merge with ANK. This move will enable both the Company and ANK to fully utilize their corporate resources, while building a production structure that can respond with stability and flexibility to future business expansion and changes in the business environment. In addition, by consolidating overlapping duties and functions, the two companies expect to make further progress in streamlining operations. Under its new Group operating structure, the ANA Group will work toward even greater growth, with the goal of achieving its corporate vision of becoming Asia’s leading airline group. April 1, 2012 will be the merger date. 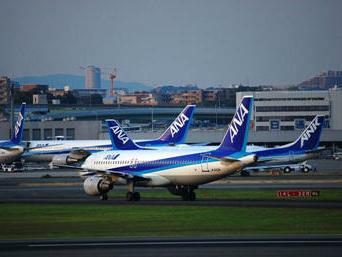 Because this merger is considered a short-form merger under the provisions of Article 796, Paragraph 3 of the Air Nippon Act, and the provisions of Article 784, Paragraph 1 of the Companies Act of All Nippon Airways (ANK), no shareholders’ meeting to approve the merger agreement will be held by either company. The method of merger will be an acquisition and merger, with the Company surviving and ANK to be dissolved. Allocation of shares related to the merger because ANK is a wholly-owned subsidiary of the Company, there will be no issue of new shares, increase in capital, or payment of funds resulting from the merger. Handling of new share warrants and corporate bonds with preemptive rights resulting from the merger, ANK, the extinct company, has issued no new share warrants or corporate bonds with preemptive rights.